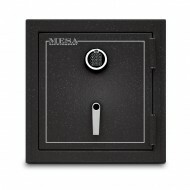 The MF75E is the largest in Mesa's MF series which earned a UL 1 hour fire rating. These models were tested by Underwriters Laboratory, an independent laboratory respected throughout the world. In the UL fire test, the product was subjected to 1825F heat and the interior maintained a temperature of 350F or less. [350F is the temperature at which paper begins to char]. 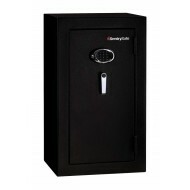 This is a heavily built sold steel fire safe with extra strong hinges and heavy bolts. 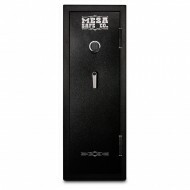 Equipped with an electronic key pad lock, the MF75E is easy to program and fast to open with your code. 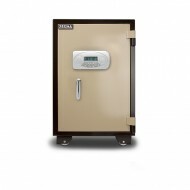 It is battery operated, the batteries are long lasting, and easy to replace from the outside. An additional feature of this fire safe is that it survived impact testing. When dropped 30 ft, the door did not break open. 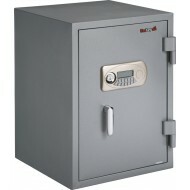 This is a large safe and could be used in industrial, business, and home settings. 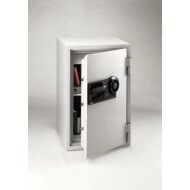 The Fire King 2213-IMGE comes with a UL 1 hour fire protection rating. 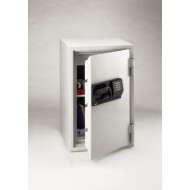 In addition it carries the UL impact rating which means it passed the 30 ft drop test without the door breaking open. 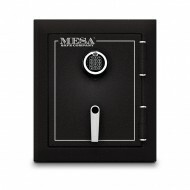 With seamless body construction, this is a great all round safe for protecting valuables, memorabilia and important documents. The FK2214-IMGE is the largest of this series and the interior includes one drawer and one shelf to help you organize your materials. 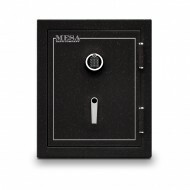 The bottom of the safe includes vinyl feet to prevent scratching of your floor.